Julio Urias in OKC clubhouse already. Pitching coach Matt Herges said plan for Urias TBD. Barnes is in his third stint with the big league club after making the Dodgers’ Opening Day roster this season. He hit safely in his last eight games for the OKC Dodgers and batted .299 with a .383 on-base percentage, 16 doubles, four triples, five home runs and 32 RBI in 63 games. At Triple-A, Barnes has split his time at catcher (46 games), second base (11), center field (1) and third base (8). He’s 2 for 19 with an RBI in 10 major league games, while appearing in four games at catcher and four games at second base. 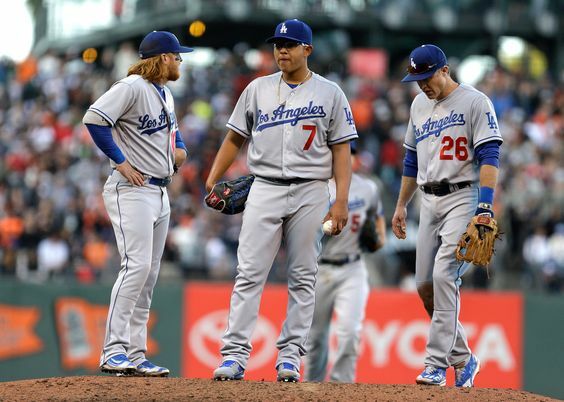 The Dodgers will have a five-man bench and an eight-man bullpen tonight. They have two off-days next week (Monday and Thursday) which might allow them to maintain a four-man rotation for the time being. This entry was posted in JP on the Dodgers, On The Farm and tagged Austin Barnes, Cardinals, Julio Urias, Oklahoma City, St. Louis by J.P. Hoornstra. Bookmark the permalink.